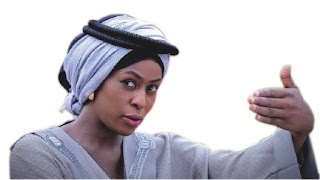 The film is produced by Kannywood A-list actress Nafisa Abdullahi and directed by Alfazazee Muhammad. “Yaki A Soyayya” has surely become the latest talk of town and the expectations of fans and well-wishers are sky-rocketing. Truly, it’s one of the most anticipated films of 2018, which is targeting a boom of cash at the box office. The trailer of the movie has already been launched, and it has left the audience spellbound. The trailer shows new directorial experience of Alfazazee Muhammad. The story explores love, the shapes it takes, the way it changes us and the exhilarating and often terrifying ride it takes everyone on. The characters express life, love and heartbreak. The film is relationship oriented. It seems that Nafisat Abdullahi, Falalu A Dorayi Abdul M Shareef and Bilkisu Abdullahi has something unique in the store for their fans. “Yaki A Soyayya” goes through range of emotions, lust, love, deceit, friendship, anger, frustration, sadness — it’s all there. It has come with lots of expectations on the musical front. Umar M Shareef lent his voice to give us sensational songs that are already believe to be a hit. The Hashtag #YakiASoyayyaInCinemas has been trending on @Twitter since last week. While fans have been going all gaga over the film. In a chat with LEADERSHIP Sunday, Nafisa Abdullahi disclosed that the film is beyond what people are expecting. She said “Yaki A Soyayya” is not only about love and romance, is has a very important message on one of the problem facing Nigeria. “I feel like doing something different, a movie that has never been done before. At this critical stage, it is imperative to make a movie that will directly send a message to people. She said. The film is set to hit the screens this December 28 in Film House Kano.